A charming covered entry gives this model home abundant curb appeal. The main floor features a spacious great room with a cozy fireplace, an open dining room and a gourmet kitchen with a center island and adjacent morning room. 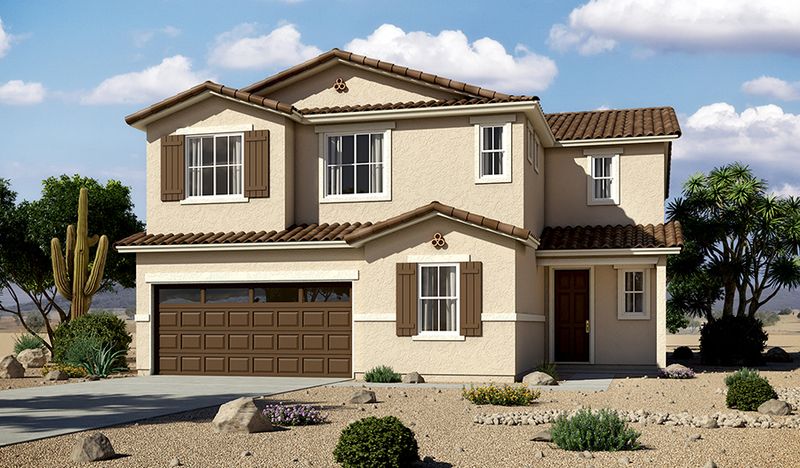 You'll also appreciate a bedroom, a full bath and a convenient mudroom with walk-in closet just off the 3-car garage. Upstairs, you'll find a laundry and a central loft surrounded by four bedrooms, including a lavish master suite with an immense walk-in closet and a attached bath. An extended covered patio completes the impressive home.